Planning every single detail of your wedding is time-consuming and stressful, especially if you want to ensure that it will be a night that everyone can enjoy. Perhaps you’ve been to weddings in the past that didn’t go as well as the couple had planned, or maybe there were some elements that you really loved! It can be difficult to keep everything straight, and in part one of this series, we gave you a couple do’s and don’ts that you should keep in mind. As we continue with part two, we will give you a few more. One of the most important things you should keep in mind as you begin planning for your wedding reception is the entertainment. Whether you need to keep your guests entertained between the ceremony and the reception or you’re looking for a fun addition that will keep everyone happy throughout the night, Party Trailers is here to help! We offer a variety of party packages for you to choose from, making it easy to customize your experience. Browse our website to learn more, and book your Party Trailer today! 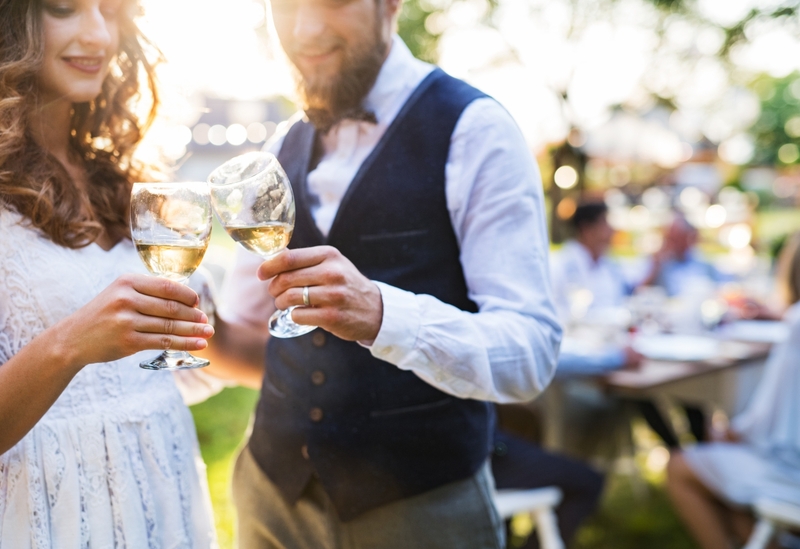 All too often, couples will spend their reception talking to guests, dancing, and giving toasts, and they will forget to really enjoy the reception. While it’s important to make sure that you mingle with your guests and get on the dance floor, it’s also important to take a few moments and take everything in — after all, you spent many months planning your event and you deserve to enjoy it. 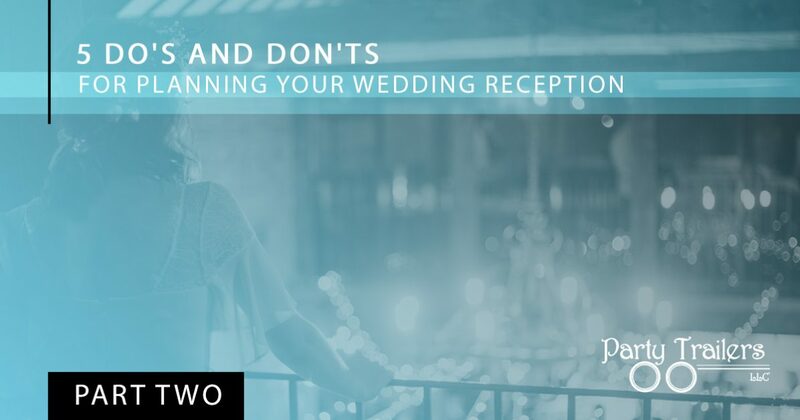 It can be difficult to find the time to stop for a moment, so it may be a good idea to designate someone from the wedding party to steal you away and make sure you get a break and a bite of food every once in a while. When you’re busy planning your wedding, there are many ways in which you can find yourself pressured to choose one way of doing things over another, and you may not even realize it! For example, when choosing who you want to be in your wedding party, you may feel pressured to choose family members instead of friends. Make sure you choose the people you want to stand by your side, even if it means some feelings might get hurt. Additionally, don’t compare your wedding to other weddings you may have been to in the past. Every couple has their own tastes, and the goal is to create a wedding that you and your future spouse will enjoy. Speaking with each and every one of your guests is one of the most important things you will need to do during your wedding reception. You may not know everyone who attends, but it’s important to at least pretend like you know them, especially after they’ve taken the time to be there for your special day. Make the rounds while everyone is eating to ensure that you hit as many people as possible, but keep conversations short and sweet. If you’re looking for a way to take your wedding reception to the next level, then Party Trailers has the solution for you! Our unique party trailers are filled with everything you need for a great time, and we offer numerous party packages to help you customize your experience. Browse our website to learn more about everything we have in store, and reserve your trailer today!